In the context of the continual increase in the global incidence of diabetes, this book focuses on particular aspects of the disease such as the socio-economic burden and the effects on individuals and their families. It addresses a wide range of topics regarding its physiological relevance, metabolic angles, biochemistry, and discusses current and upcoming treatment approaches. 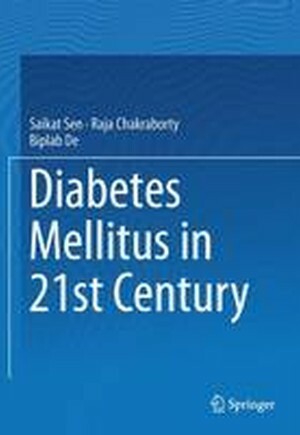 It is unique in offering a chapter dedicated to herbal remedies for diabetes. Appealing to a broad readership, it is a valuable resource for students, researchers and practitioners working in the area of glucose metabolism, diabetes and human health. Chapter 1. Pancreatic Hormones and Control of Blood Glucose - A Glance.- Chapter 2. Diabetes Mellitus - General Consideration.- Chapter 3. Impaired Glucose Tolerance & Impaired Fasting Glycaemia.- Chapter 4. Prevalence of Diabetes and Its Economic Impact.- Chapter 5. Pregnancy and Diabetes.- Chapter 6. 'Diabesity' - Current Situation.- Chapter 7- Oxidative Stress and Diabetes Mellitus.- Chapter 8. Complication of diabetes mellitus.- Chapter 9. Biomarkers of Diabetes and Diabetic Complications.- Chapter 10. Indian Traditional Medicinal Systems, Herbal Medicine and Diabetes.- Chapter 11. Management of Diabetes Mellitus.- Chapter 12. Recent developments in diabetes therapy.